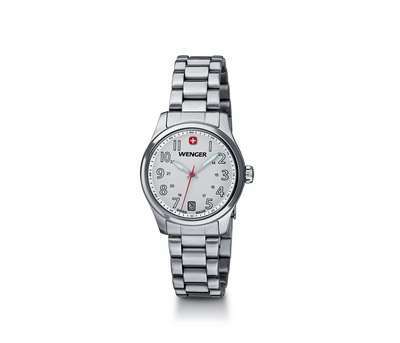 The promotional Wenger Terragraph Watch Metallic White Dial Stainless Bracelet is water resistant to 100 meters. Wear a touch of class with our Wenger Terragraph Metallic White Dial Stainless Bracelet watch. 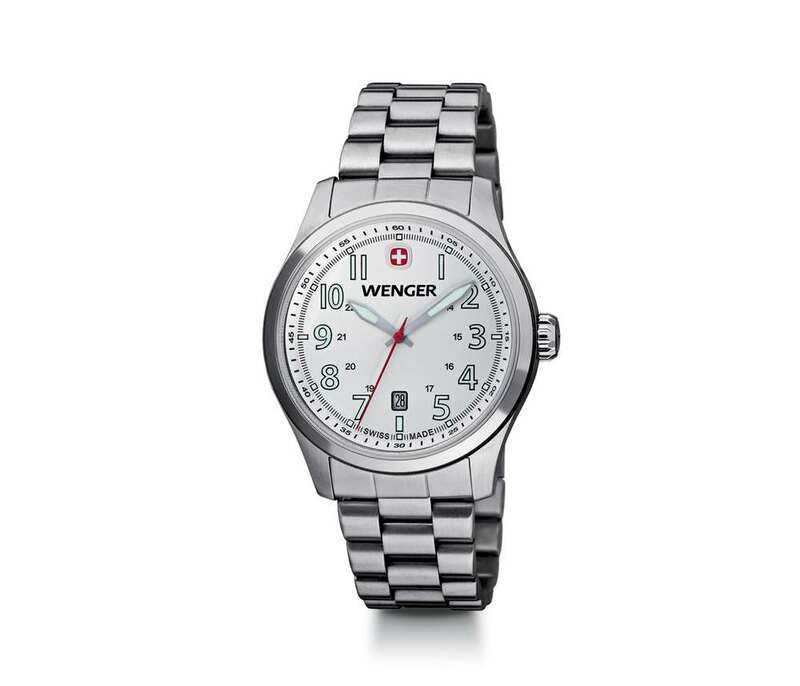 This Wenger watch features Swiss-made stainless steel case, sapphire crystal, a date window with military time, and luminous hands, numerals & markers. It is water resistant to 100 meters (330 feet). You can select from various imprint methods and colors available to customize this affordable solution to your business. Is a great option for sporting goods and outdoor industries. Gift your valuable customers something they will cherish for lifetime and get more love for your brand.